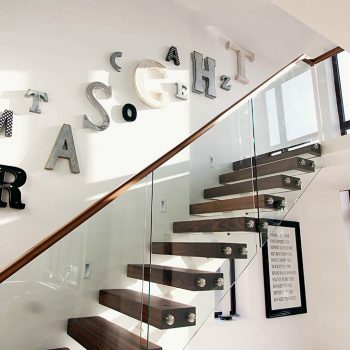 The Powell family chose to go back to brick with there home, completely remodeling their home and the entire layout of the ground floor and staircase gallery. 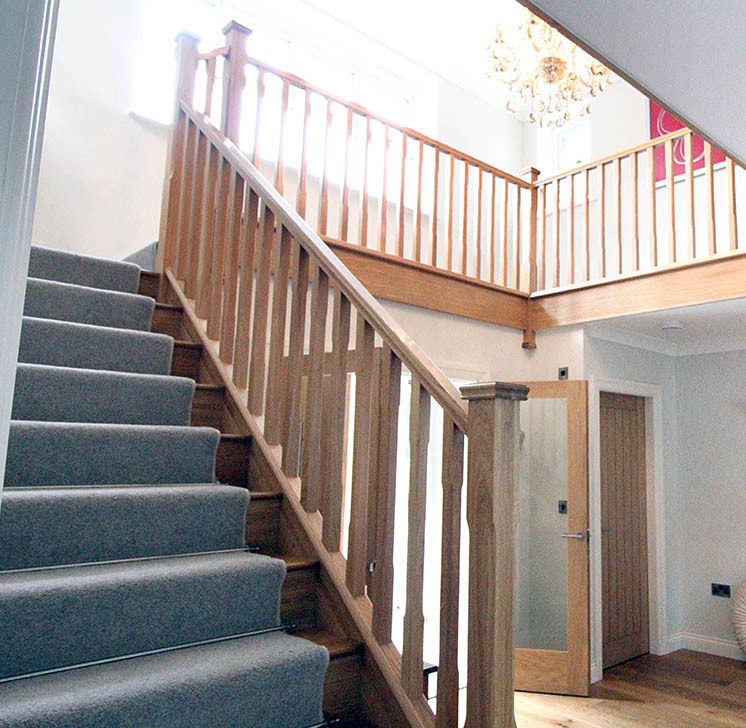 When approached by Mr Powell, we chose to discuss the style and slightly change the layout of the staircase to ensure the space was properly utilised and the positions of the structural components of the first floor were planned to perfection. 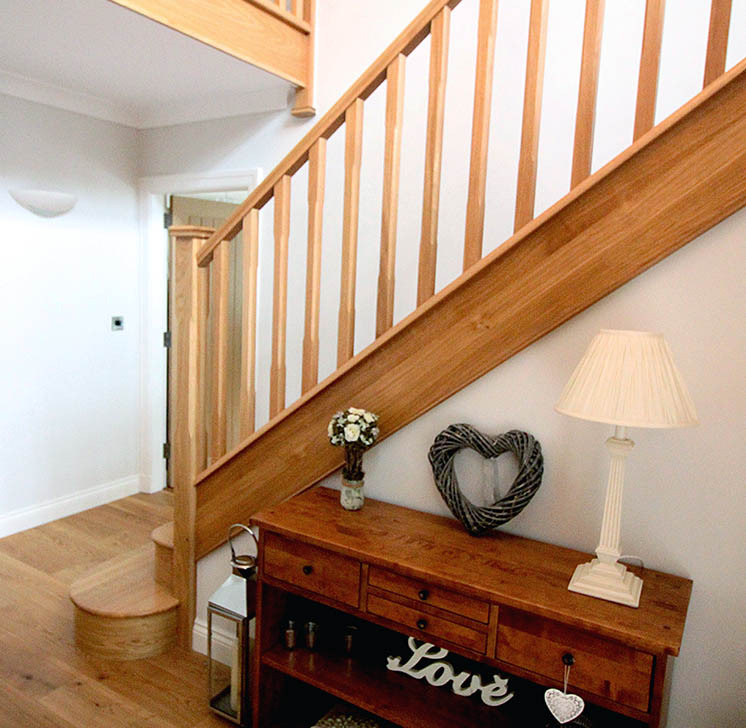 We played with the measurements of the staircase to get a really low pitch (angle of the staircase, the maximum available via building regulations is 42 Degrees) and a huge going (depth of the tread) to allow a high level of comfort when using the staircase. 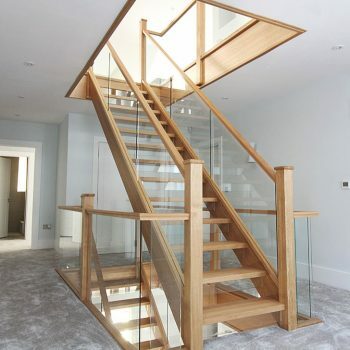 The architect actually planned the staircase incorrectly using a winder turn at the top, but this would block the window that the client had planned in the understair storage area. We noticed this upon our initial survey and changed the design very early. 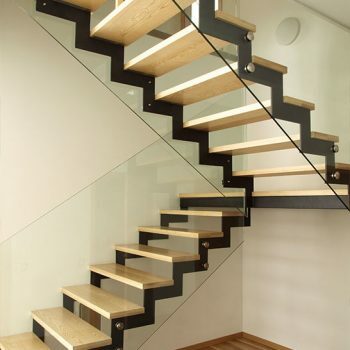 By discussing these details ahead of construction, it allows freedom for the perfect staircase. 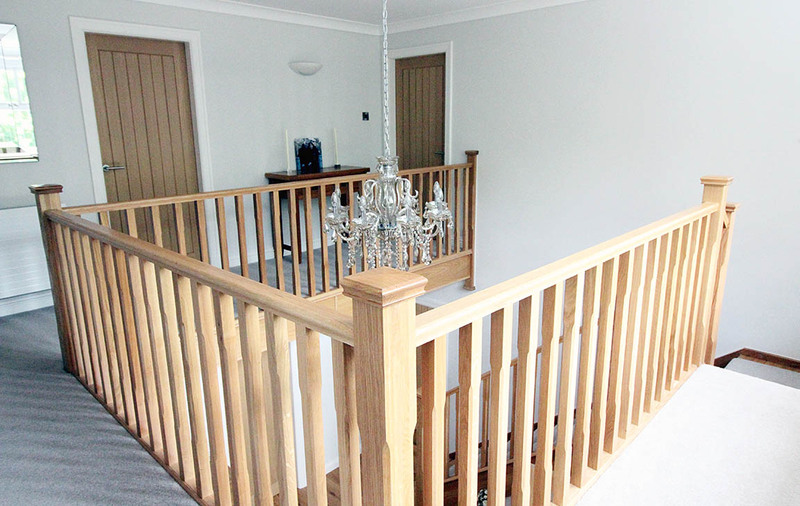 The family planned to have oak components throughout the property and wished for a solid oak staircase to compliment this. 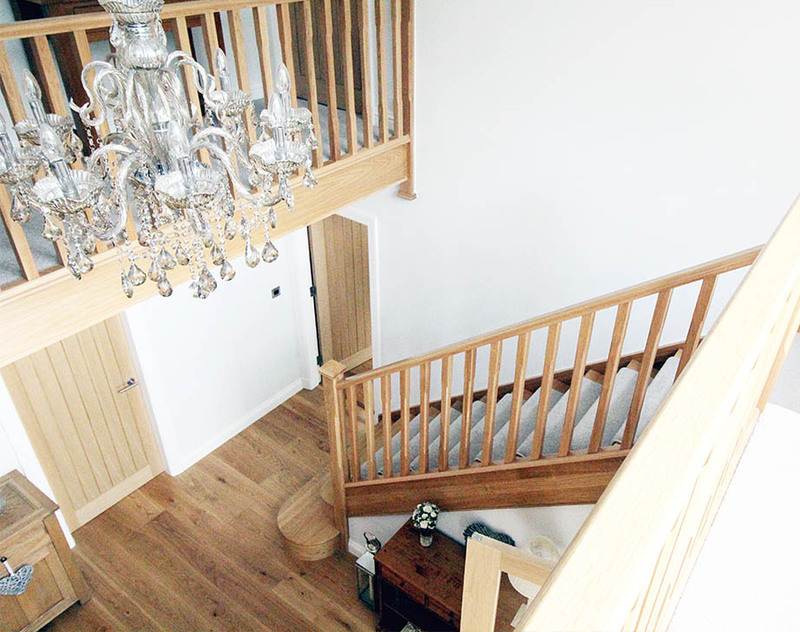 Choosing a timeless stop chamfer design with traditional pyramid caps was a safe way to ensure this staircase will never look out of style. 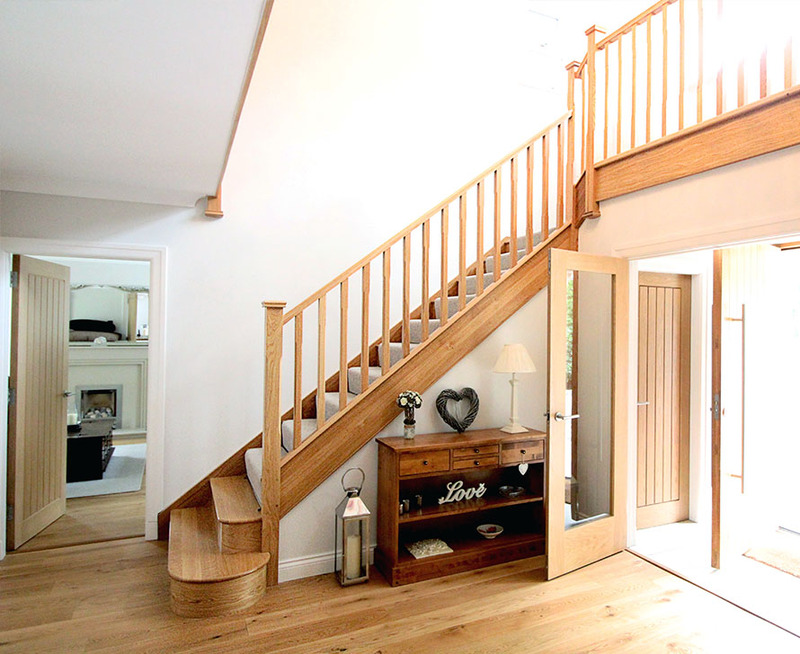 Finalising with a huge curtail and bullnose first two steps, this allows the staircase to be approached from a variety of angles for a stunning opening feature.